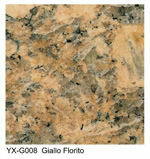 Granite tile floors, formed by volcanic action, this igneous rock floor bursts with distinction. 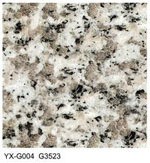 Flecks of quartz, feldspar and mica give Granite its own special character. 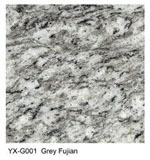 You can choose from polished, honed or flamed surfaces, each providing their own unique look. These are recommended for heavy-duty interior floors. The polished finish however, is not recommended for exterior or interior floors where water or grease could be present. 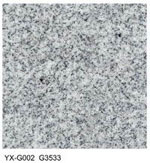 Granite tile has always been a favorite choice for use on kitchen countertops, and today it has become very fashionable as a flooring choice as well. 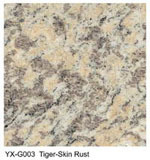 You'll find a variety of designer colors (actual stone colors) to choose from. One big advantage of this type of flooring over regular glazed ceramic is that many scratches can be polished or buffed out of it. Granite is quite literally as old as the earth. It is formed from liquid magma, the molten rock still found at the core of the planet, cooled slowly to form a substance approaching the hardness and durability of diamond. 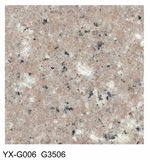 Granite is an igneous rock, the name reflecting its fiery beginnings. 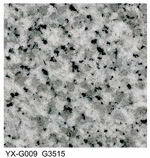 The chemical composition of granite is similar to that of lava. 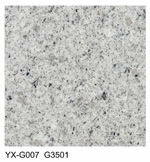 However, granite owes its hardness and density to the fact that it has been solidified deep within the earth, under extreme pressure. Over the eons, seismic activity has changed the crust of the planet, forcing veins of granite to the surface. Glaciers scraped off layers of dirt, sand and rock to expose granite formations. Typically revealed by outcrops, the deposits have been discovered on all the continents.